Despite the successes of both the HTC One X and One S, the Taiwanese company hasn't had a very good 2012. HTC's second quarter financials revealed a 26.8 percent drop from where they were a year ago, and things aren't looking much better for the third quarter. The company readjusted its third quarter projections to come in at between $2.3 to $2.7 billion, which would be a 23 percent decrease from Q2. As a result, the government reportedly discussed a bail-out for the HTC to help save the island's gross domestic product. Now, an uncovered memo to the company from CEO Peter Chou has surfaced, in which he admits the company's mistakes, and addresses the need to get back on track promptly. In Chou's memo, recovered by the Wall Street Journal, he points to "multiple areas" which need fixing, and relates HTC has grown too fast in the past two years. 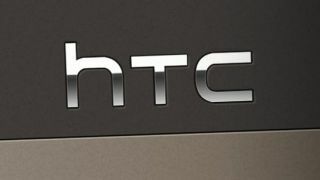 Chou also states the HTC had a bit of trouble executing strategies well, stating "we agreed to do something, but we either didn't do it, or executed it loosely." In his plans to help the company recover, Chou dictates a need to focus on the HTC One brand, with a clearer intent to not get tangled up in bureaucracy. The HTC CEO believes those in charge are "talking all the time but without decision, strategic direction, or a sense of urgency," and hopes to improve communication within the company. Despite the seemingly apologist nature of Chou's memo, he made sure to reiterate the company was still doing well financially, adding, "The most important thing is what we do to solve the problem." Whether this memo will provide HTC with the much needed boost of confidence it needs to turn things around remains to be seen, but it's clear those in charge still have faith the company can pull out of its current misfortune.